Just as he'd done in advance of his federal trial a year ago, a defiant Rod Blagojevich challenged the government and demanded it release all of the evidence they have against him, including secretly-recorded telephone conversations. In a statement timed with local television newscasts, Blagojevich said the tapes that were played during last year's trial amounted to "less than two percent" of what was recorded and that "snippets" were taken out of text and distorted. "I'm innocent. I've said repeatedly, I've quoted the Bible. The truth will set me free. I believe that. In fact, I know that," he said just steps away from his Ravenswood home. The statment was billed as one that would address recent developments in his case. And it did. Rod Blagojevich's defense attorney says the outcome of two issues, money spent on Children's Memorial Hospital and a bill that favored the racetrack industry, prove his client's innocence. On Monday, the prosecution filed a motion with Judge James Zagel on Monday that, if upheld, would bar Blagojevich from repeating his "play the tapes" mantra. 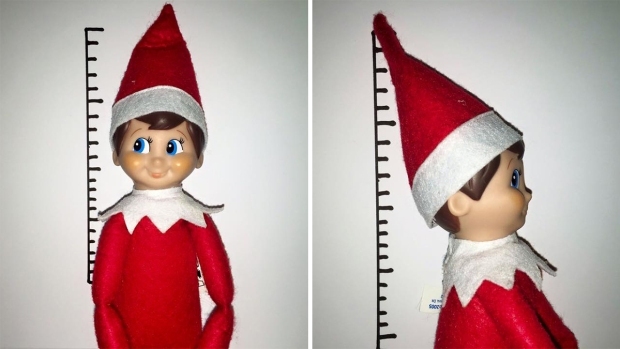 "I'm a former prosecutor," said Blagojevich. "It is not the job of a prosecutor to win at all costs. It's not the job of a prosecutor to railroad an innocent man. It is the job and duty of a prosecutor to do justice. What is justice? Justice is the finding of the truth. You don't find the truth by hiding the truth." And on Tuesday, the Chicago Tribune filed a motion requesting that all recently sealed filings be made public. The media organization cites constitutional rights to access the information. 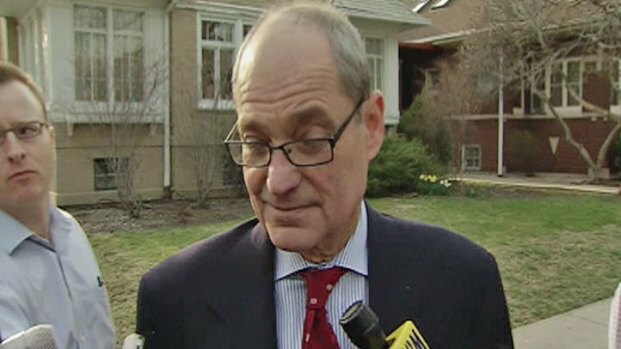 "If the government has their way, my lawyers cannot ask questions about the last conversation I had less than 10 hours before I was arrested, with my deputy governor, when I told him my chief of staff told me, that Rahm Emanuel said that pending Barack Obama's approval, he agreed to be the go-between between me and [Illinois House Speaker] Mike Madigan [and] I would appoint Madigan's daughter the senator in exchange for passing a public works bill that would put thousands of people to work, healthcare expansion for working families so they can afford the high cost of seeing a doctor, and a written promise -- a guarantee in writing -- not to raise income taxes on the people of Illinois." He held a similar press event about a year ago, just prior to the start of his first trial. "I'm here today to issue a challenge," a visibly upset Blagojevich said last April 20. "I challenge Mr. Fitzgerald. Why don't you show up in court tomorrow and explain to everybody. Explain to the whole world. Why you don't want those tapes that you made played in court. I'll be in court tomorrow. I hope you're man enough to be in court too." Blagojevich has kept a low profile in recent months, making the timing of his statement curious. Recall that a little more than a year ago, he went on Bill O'Reilly's Fox program and danced around a question as to whether Obama or Rahm Emanuel had any involvement in the case to sell a U.S. Senate seat. One of those men comes to town on Thursday, and the other is set to be inaugurated as Chicago's mayor next month. 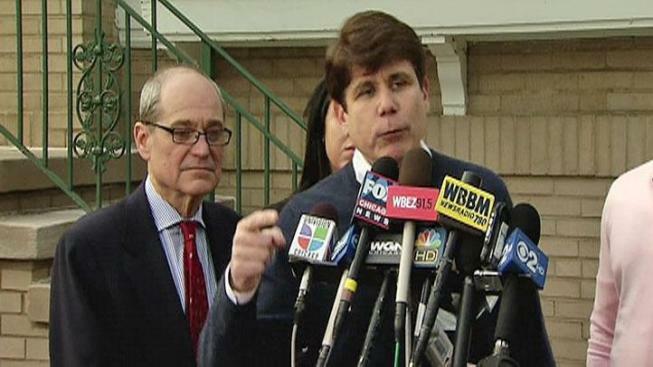 Blagojevich's retrial on federal corruption charges is slated to begin next Wednesday.